Cut like Wound is a detective fiction by Anita Nair. I bought this book primarily because the story is about Bangalore (Shivajinagar and nearby areas in particular). Plot revolves around a psychopath who is on a killing spree but not many in the police department are keen to track him down. While everyone believes the killings were isolated incidents, but one person, Inspector Gowda senses a connection and tries to investigate. Bengaluru's Shivaji nagar area, crimes that happen around it etc are depicted reasonably well in the book. You will also learn a bit about police department functions. Inspector Gowda's characterization is the key focus of the book. I got a feeling that author is trying to plan a series of books with Inspector Gowda as hero. 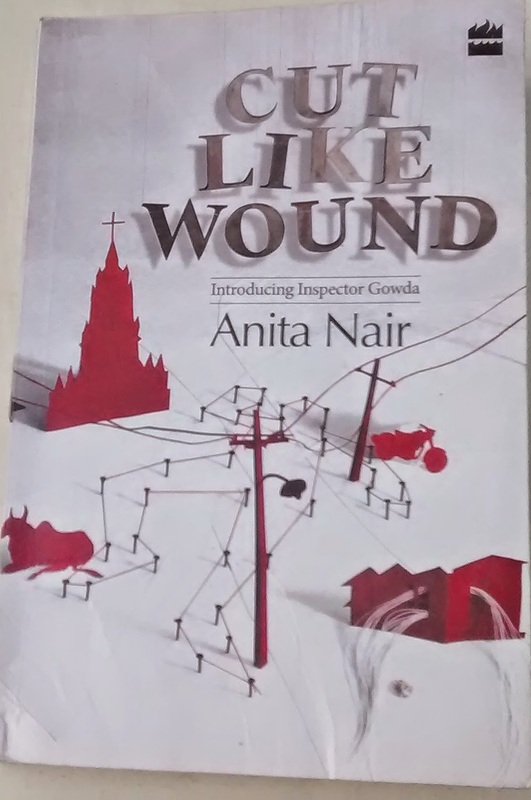 I checked if there're any other books by Anita Nair, couldn't find any detective books with Inspector Gowda. I wouldn't say the book is "Edge of the seat thriller" but it retains the interest through out. Though at some point the temptation to skip a few pages and fast pace the reading will be immense. Inspector Gowda's instincts, his subordinate Santosh's curiosity, red tape within police departments, corporator's association with eunuchs add on to the murderous storyline. Books price is slightly on the higher side, (Rs 250+ on flipkart after discount) compared to other similar books. Any price between Rs 150-200 would have been great deal. I would suggest add this to wishlist and buy when there's an offer or price drop. I'm also one of the victim who has invited for making a fool by countryclub vacations, but I've saved myself. Received a set of similar cups and offered 6 nights stay in any club vacation resorts throughout India and abroad now I'm planning to use that, hope my 1 hour will be fruitful for me. It was 21st of feb 2016 when they tried to cheat me. You've written right comment on wrong post..